Now is the time to stock your children’s home library (or pick up a few volumes to donate to the classroom). 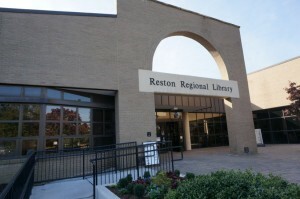 The Friends of Reston Regional Library’s Children and Teen Book Sale runs Thursday through Sunday at the library, 11925 Bowman Towne Dr. The Friends have gathered thousands of books and materials that will be for sale for bargain prices. Thursday, August 18 — 10 a.m. – 8 p.m.
Friday, August 19 — 10 a.m. – 5 p.m.
Saturday, August 20 — 10 a.m. – 4 p.m.
Sunday, August 21 — 1 – 3:30 p.m.
All proceeds benefit the Reston Regional Library and the Fairfax County Public Library system.